Thermoforming plastics are plastics that can be molded when they are at the right temperature. The process of molding these plastics is called “thermoforming.” This process varies greatly, depending on the product and which materials, thicknesses of sheets and mold types will achieve the required result. The earliest recorded use of thermoforming was in ancient Rome, where tortoiseshell was heated with oil and used to form eating utensils. There are three types of thermoforming molds. The first is a concave mold, in which the plastic sheet is pressed. This causes the sheet to be molded into the shape of the interior of the mold. The second is a convex mold. A plastic sheet is placed on the outside of a convex mold and takes on the shape of the exterior of the mold. 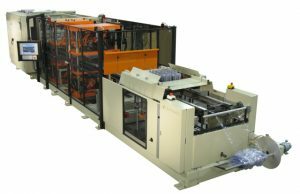 The third thermoforming mold combines the other two varieties, with a convex mold pressing the plastic sheet into a concave mold to shape the product on both sides. Vacuum thermoforming is typically used with concave molds. The mold has tiny holes in it, so small that they do not affect the shape or texture of the finished product. The sheet of plastic, after being heated and prepared for molding, is placed on the mold, and air is drawn through the holes. The vacuum effect pulls the sheet of plastic firmly against the sides of the mold, holding it in place until it is fully cooled. Mechanical thermoforming is accomplished using a combination of convex molds and concave molds. The two molds are created to fit together, leaving a small space for the sheet of plastic. In this method, the plastic is heated to make it pliable, and it is then placed on the lower mold. The upper mold is then pressed down upon the plastic, sandwiching it between the two molds. This method creates a product that is perfectly molded inside and out. Pressure thermoforming is a technique used with convex molds. The warmed and pliable sheet of plastic is laid over a convex mold. Pressure is applied, forcing the inside of the plastic sheet to take on the shape of the mold’s exterior. Special care must be taken to ensure that the plastic maintains a uniform thickness during the process. Heated thermoplastic can stretch if not handled correctly. Copyright © 2019 BLISTECK PLASTIC. Proudly powered by WordPress. Silverclean design by Iceable Themes.